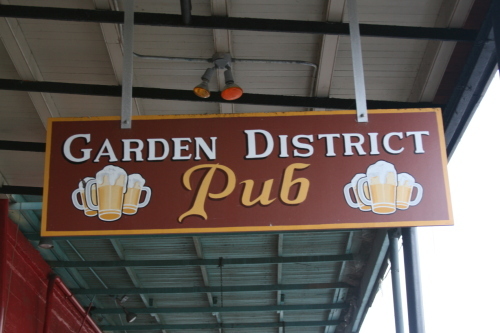 Garden District Pub — “Three weddings have been borne out of this pub,” says Dianne Sciortino Lemons, co-owner of the Garden District Pub (along with her sister, Veronica Sciortino) — or Ms. D and Ms. V, as they are affectionately known to their customers. Igor’s Bar & Grill — In any discussion about the archetypal New Orleans bar, Igor’s is at the top the list. Since 1974, Igor’s classic black and red neon sign has beckoned generations of patrons to enjoy the handpicked choices of beer and liquor, but, as locals know, good drinks alone do not make a classic New Orleans bar. “We only close at gunpoint,” says Brandon Carriveau, manager of Igor’s for the past 15 years, “and that only happened once, a long time ago,” he adds reassuringly. 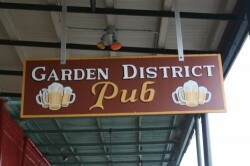 That’s the sort of philosophy that exemplifies a New Orleans bar. What Igor’s does exceedingly well is create the most renowned bloody Mary in New Orleans. These drinks have become so legendary that it’s now a tradition for students at Tulane and Loyola universities to arrive en masse at Igor’s for a morning bloody Mary before each year’s commencement.